Download Free Designer Resume Template PSD Bundle. A Designer Resume Template PSD Bundle are easy to use and customize, so you can quickly tailor-make your job resume for any opportunity and help you land that great job. This Designer Resume Template PSD Bundle is best for creative designers, web designers, web developers and more. Freebie Included with 6 different color options. 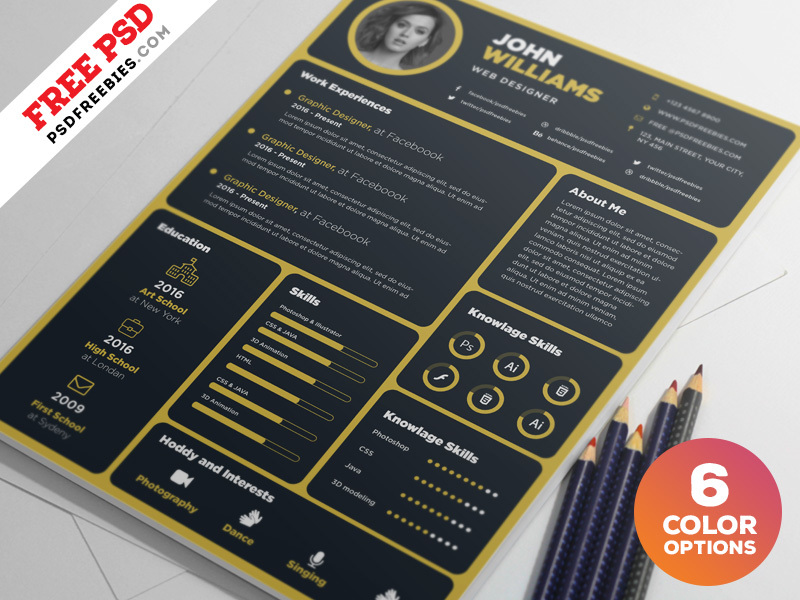 This free resume template are A4 Paper Size and is ready for print, because it’s in CMYK at 300 dpi. The psd file can be edited in Adobe Photoshop, and to be able to change the text. The Designer Resume Template PSD Bundle is available for Free Download.